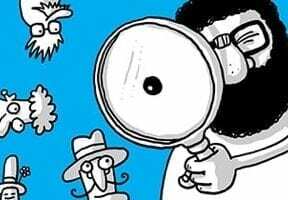 Conducting market research can help you pinpoint what your prospects actually want, or even discover if a product will be successful before you launch it. Here is a list of online tools and resources to conduct market research. There are survey and feedback tools to query and analyze your shoppers, and data tools and resources to study your opportunities. Most of these tools are free. Think With Google. 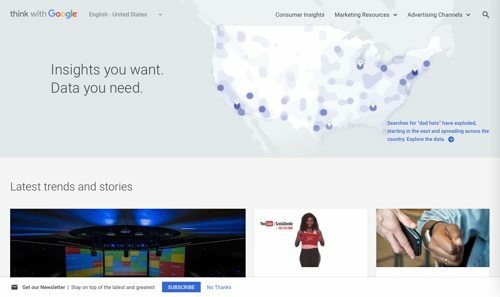 Think With Google provides tools to explore consumer trends and strengthen your marketing strategy. Use Shopping Insights, Google Trends, and Consumer Barometer for research on product trends and consumer behavior. Price: Free. Amazon. Amazon is one of the best places to gather research on markets, new products, pricing, competitors, and more. Scan Amazon best sellers to determine market categories, niches, and related products for up-sells. Identify top competitors on Amazon to see their offerings and price points. Use the Hot New Releases, Top Rated, Most Wished For, and Gift Ideas sections to find your next best sellers. Price: Free. Social Mention. Social Mention is a social media search and analysis platform that aggregates user-generated content into a single stream of information. Track and measure in real-time what people are saying about you, your company, a new product, or any topic across the web’s social media landscape. Social Mention monitors roughly 100 social media properties directly, including Twitter, Facebook, FriendFeed, YouTube, Digg, and Google. Price: Free. Typeform. 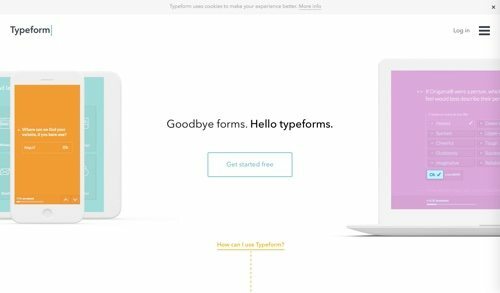 Use Typeform to get answers fast with interactive forms on smartphones, tablets, and desktops. Helpful for getting feedback on products and experiences. Create and share feedback, contact forms, and customer development surveys. Price: Basic is free. Premium plans start at $29 per month. Survey Monkey. Use Survey Monkey to create and send a market survey for primary market research. If you don’t have a customer list or a big group of social followers to work from, use SurveyMonkey Audience and gain access to millions of respondents who are ready to provide the answers you need. By sending a survey to members of your target market, you can ensure your efforts will be as effective and reliable as possible. Price: Basic is free. Paid plans start at $29 per month. UsabilityTools. If you’re testing a website or web app, UsabilityTools helps you analyze user behavior. Play back precisely how users interact with your website or web app. UsabilityTools lets you build customized behavior flows to see how users progress through your conversion funnel. Price: Plans start at $19 per month. Proved. 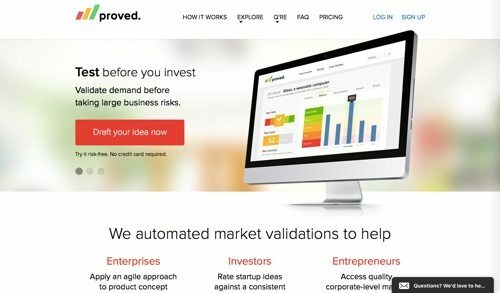 Proved is a tool to help test ideas with your target audience. Just write down your idea. Proved generates a smart and professional questionnaire, and then directs your idea to the required demographic. In a few hours, you’ll get a smart dashboard with your idea’s scores, including explanations from respondents. Price: Campaigns start at $149. Up Close & Persona. A buyer persona is a composite of different factors that affect your buyer, motivating her to buy. Up Close & Persona is a buyer persona tool to create a picture of the most important customer types. Price: Free. Followerwonk. Followerwonk helps you drill down on your Twitter analytics. Who are your followers? Where are they located? Find and connect with new influencers in your niche. Price: One profile is free. Up to three profiles for $29 per month. 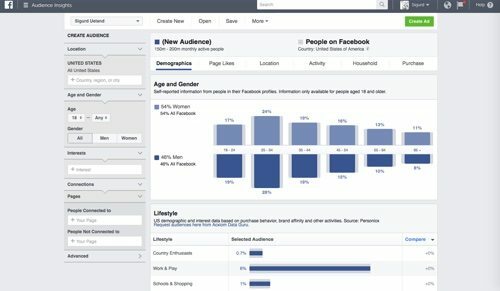 Facebook Audience Insights. Use Facebook Audience Insights to know the Facebook followers who matter to your business, so you can understand what matters to them. Learn about their locations, interests, and behaviors, to create messages that will help your business grow. Price: Free. MyBestSegments. MyBestSegments allows you to examine U.S. consumers through the lens of Claritas Segmentation systems. Evaluate market segments by linking consumer behaviors for shopping, financial, media, and more, to gain powerful insights to create actionable strategies while benchmarking your performance. Price: Contact for pricing. Pew Research Center. 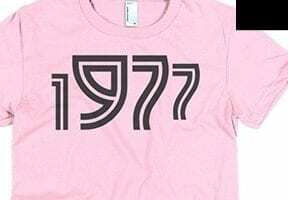 Pew Research Center is a nonpartisan fact tank that informs the public about the issues, attitudes, and trends shaping America and the world. Get access to its public opinion polling, demographic research, content analysis, and other data-driven social science research — free of any policy positions. Price: Free. FreeLunch.com. 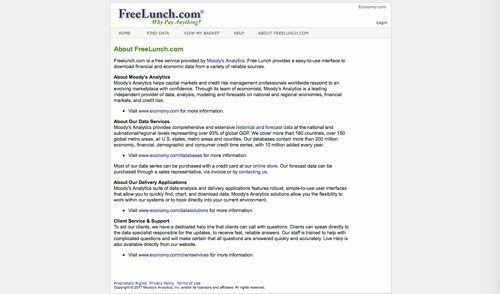 FreeLunch.com is a free service from Moody’s Analytics. FreeLunch.com provides an easy-to-use interface to download financial and economic data from a variety of reliable sources. Price: Free. American FactFinder. American FactFinder is a tool from the U.S. Census Bureau. Get information — such as age, business and industry, education — on citizens of the U.S. and its territories. The data in American FactFinder comes from several censuses and surveys. Price: Free. Business Dynamics Statistics. Business Dynamics Statistics provides annual measures of business dynamics — such as job creation and destruction, and company startups and shutdowns — for the economy and aggregated by establishment and company characteristics. BDS provides economic data on job creation and destruction, job expansions and contractions, number of establishments, openings and closings, number of startups and shutdowns. Price: Free. BizStats. 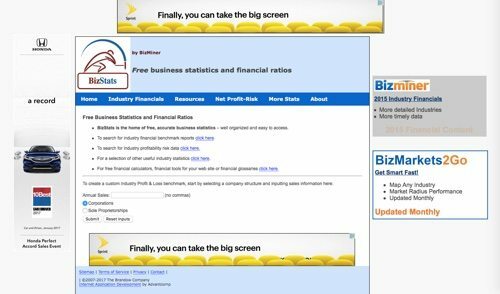 BizStats is a free online source for small business statistics. BizStats collects and adds value to public data, delivering it without cost. BizStats selects raw data to develop value-added calculations and publish the results in an easily accessible format for business owners and professionals. Price: Free.